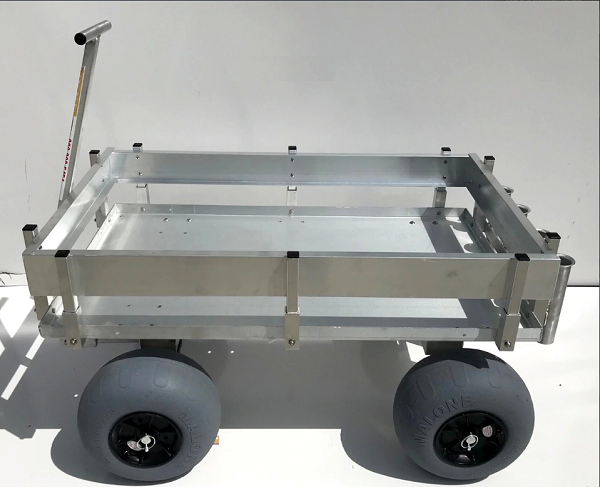 This 200 lbs capacity Extra Large Beach and Fishing Cart comes with a 27” wide and 45” long solid deck designed to fit numerous fishing equipment, beach utilities basically any cargo you want to bring along with you in your fishing and beach experience. 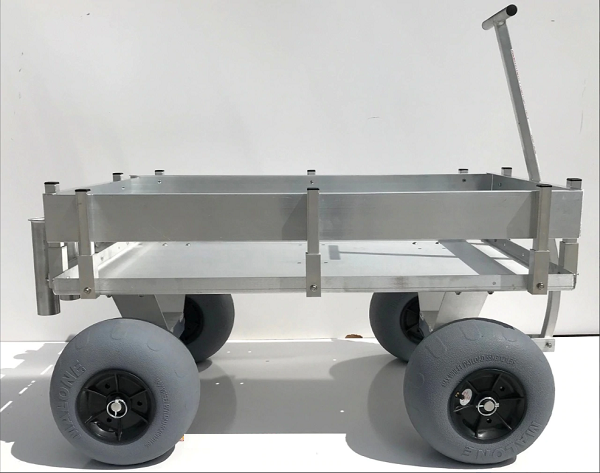 This beach wagon is Ideal for hauling oversize coolers, beach gear, fishing & camping equipment, feed & hay, water tanks, sporting equipment, tools & machinery, etc. 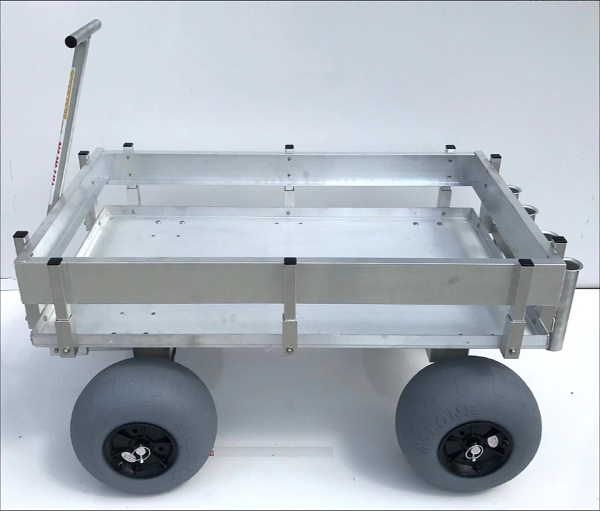 The Beach and Fishing Cart from Alumacart is made out of aluminum with rust and corrosion resistant furnish providing it great strength and durability especially against warm and extreme conditions. 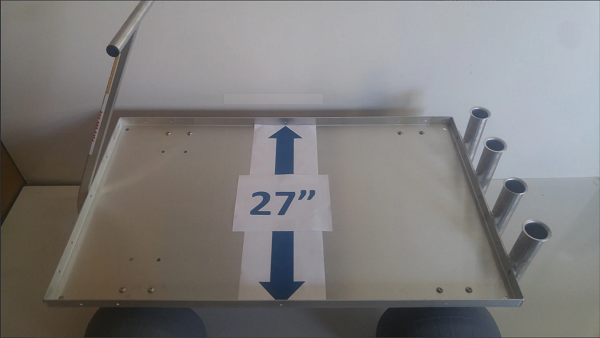 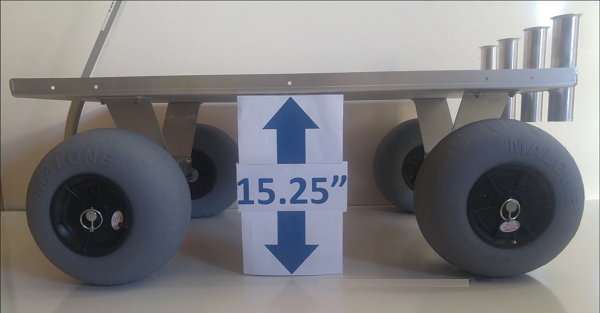 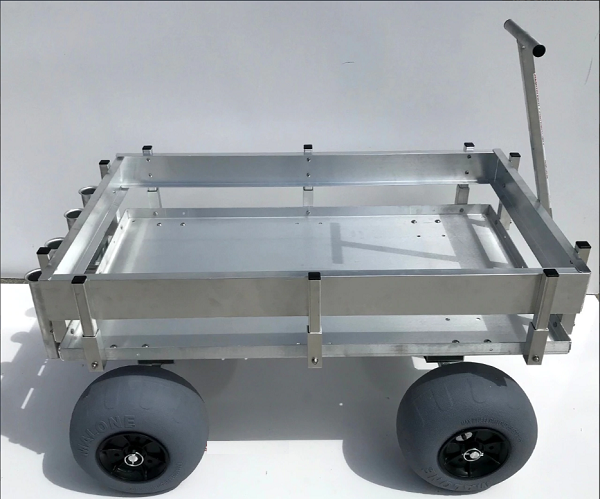 The beach cart also has aluminum walls surrounding its deck that features a removable design which allows you to personalize how your beach cart works. 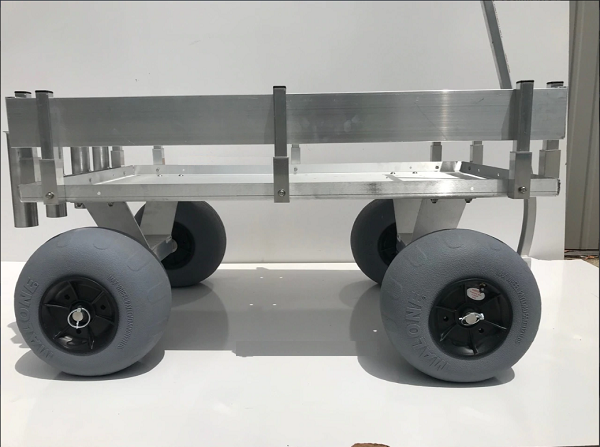 It also comes with four 11.8” low pressure balloon sand tires providing the great exceptional measurability and versatility in traveling along the shores or any terrains. 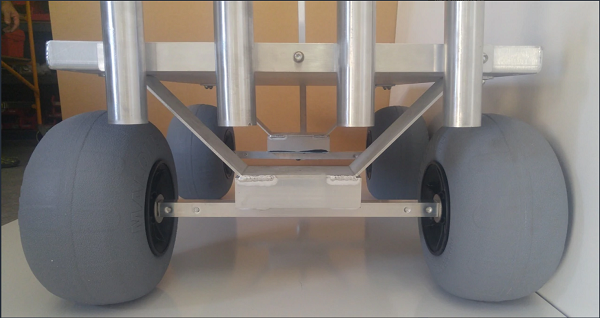 These make hauling your beach or fishing gear through the sand a breeze! 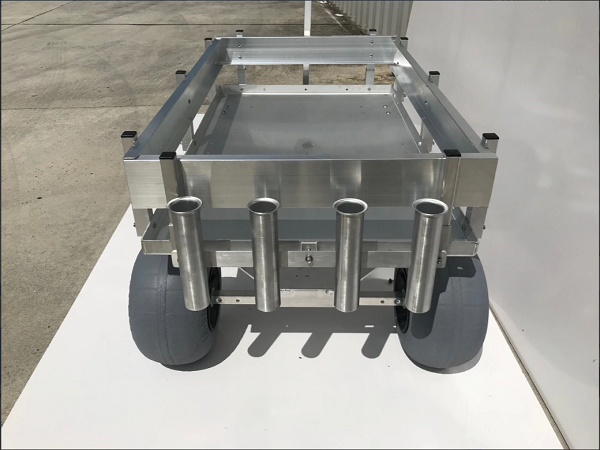 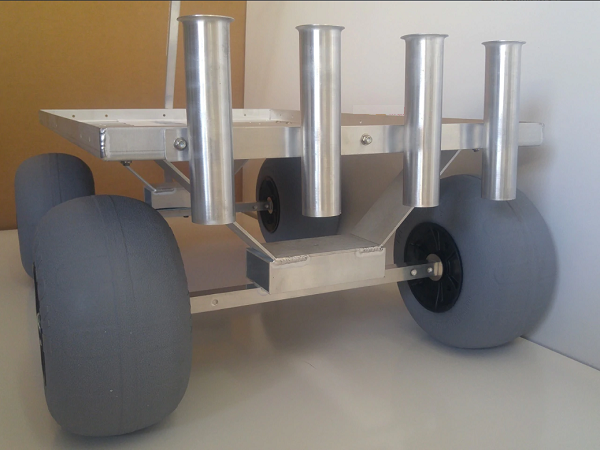 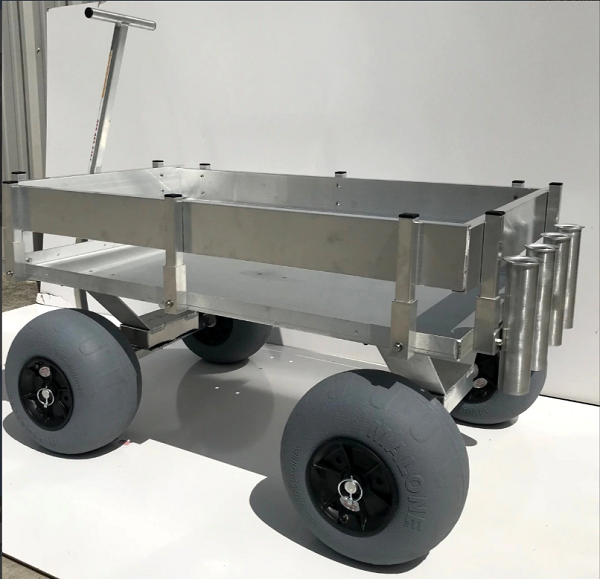 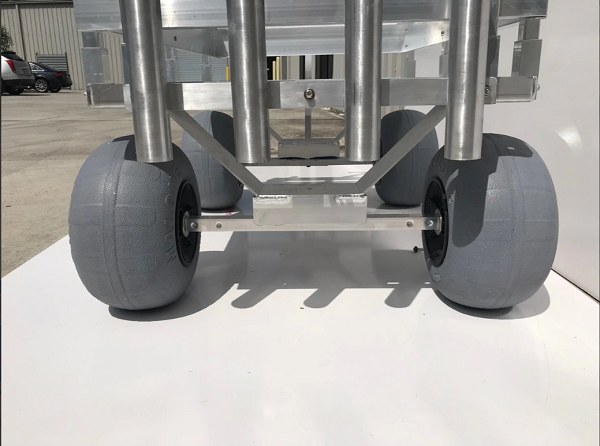 The deck of this beach and fishing cart is also pre-drilled allowing you to place four fishing rods and is wide enough to carry a number of coolers at a time. 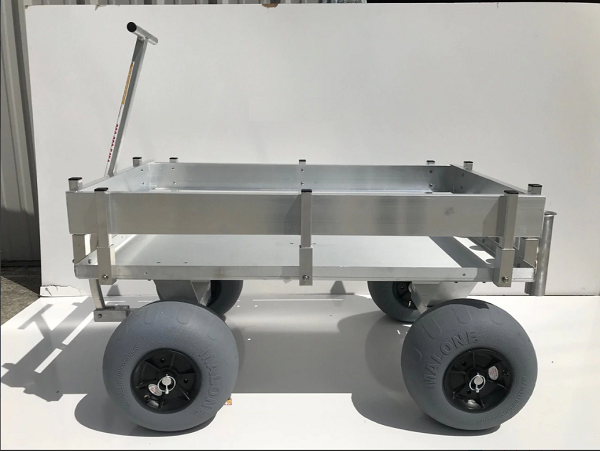 If you take fishing seriously as well as enjoy going to the beach then this is definitely the cart for you! 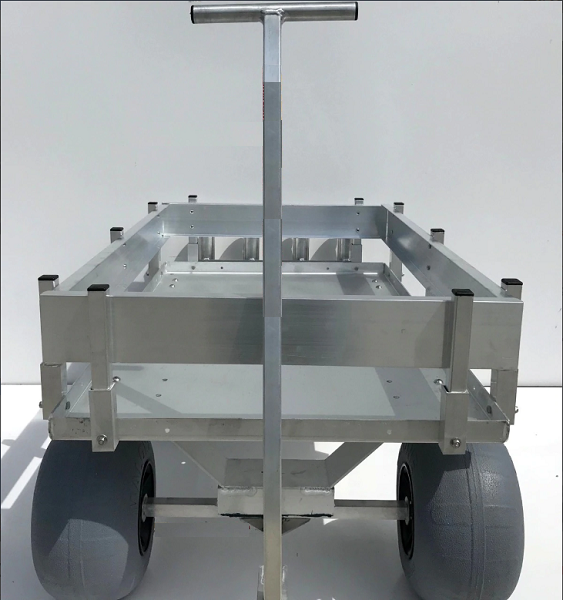 Built to withstand the harshest conditions and large loads. 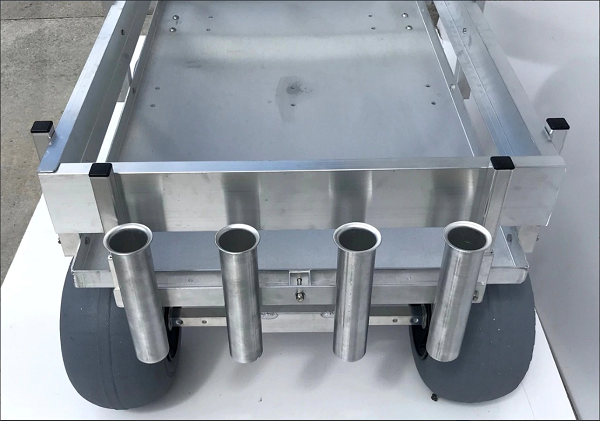 Comes standard with an aluminum four-rod holder bolted to the aluminum deck with stainless steel hardware. 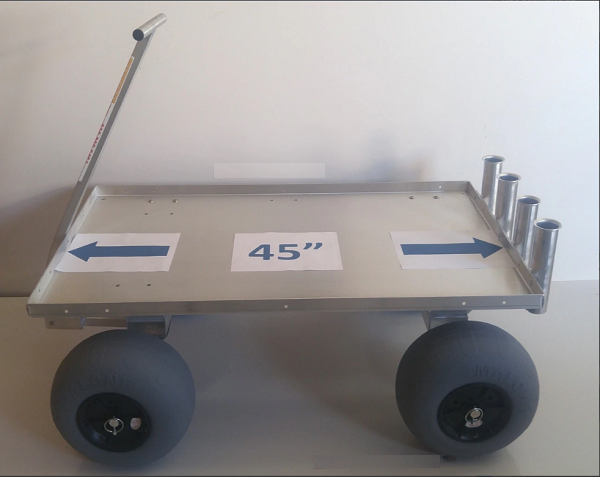 Made for any beach or fishing fan and strong enough for commercial use.